It’s not often we get to cover astronomical details in this line of work, but this deserves some attention! 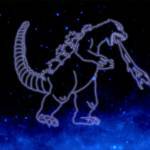 NASA has officially named a star constellation after the legendary King Of The Monsters, Godzilla. According to the official filing -The unique star cluster grouping is (theorized) to contain high levels of gamma-jet rays, similar to Godzilla’s own Atomic Breath. A most deserving accolade for the legendary kaiju! Godzilla: The Planet Eater Teaser Trailer Released! 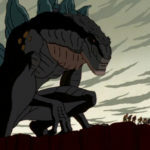 TOHO Animation and POLYGON PICTURES have released a new teaser trailer for the third-and final- installment in their CGI Godzilla film series! Titled The Planet Eater, this film features the King Of The Monsters facing off against his greatest rival- the legendary King Ghidorah to determine the fate of the world! The Planet Eater is currently scheduled for release on November 9 2018 and-like its predecessors- will be released on Netflix worldwide once the theatrical run has concluded. Godzilla: The City Mechanized For Battle premiered in Japan on May 18th, the third and final film: Godzilla Hoshi Wo Ku Mono(Or Godzilla: Star Eater) will be premiering in Japan in November. After Godzilla made its triumphant return in Japan in 2016, fans have been eagerly awaiting what’s next for the King of the Monsters. Thanks to an interview with Toho executive Keiji Ota in the magazine Nikkei Style , it’s been revealed that the studio’s plans are now to create a shared Godzilla universe akin to the Marvel Cinematic Universe, with a new film being released every 1-2 years. These plans are expected to move forwards after 2020. However this announcement comes with some bad news for Shin Godzilla fans, as it confirms that any plans Toho may have had for a sequel are now defunct. In the interview Ota said that they are “instead of thinking of doing the obvious idea of making a Shin Godzilla 2, instead thinking about a world that can be used for a long time”. 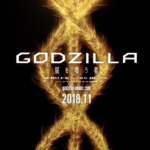 This new release strategy bears obvious similarity to Legendary’s own “MonsterVerse” plans, which connects their own Godzilla film, Kong: Skull Island and the forthcoming Godzilla: King of the Monsters and Godzilla vs King Kong movies. Of course its worth mentioning that even in Japan Godzilla is no stranger to a shared universe, with the Showa and Heisei eras showing particular continuity between its various films. 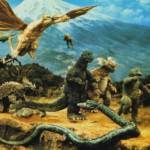 Are you excited for Toho’s future Godzilla plans? Let us know your thoughts after the jump! 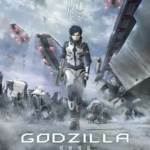 Godzilla: The City Mechanized For Battle Teaser Trailer Online! TOHO Animation and POLYGON PICTURES have just released the first official trailer for the next entry in their Godzilla anime series! Godzilla: The City Mechanized For Battle follows in the footsteps paved by previously-released film Godzilla: Monster Planet and explores the King of the Monsters in ways never before imagined! The City Mechanized For Battle will be released in Japanese theaters on May 18 2018! Following its theatrical run, this film will also be made available worldwide on Netflix! 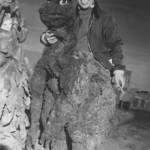 Legendary Toho suit actor Haruo Nakajima, first person to ever wear the GODZILLA monster costume, has passed away at the age of 88. Haruo Nakajima portrayed the King of the Monsters in 12 films, from 1954’s Godzilla to 1972’s Godzilla VS Gigan. Throughout an extensive career, Nakajima portrayed several other famous Kaiju– including Rodan, Mothra, King Kong & Frankenstein. Our thoughts are with his family & friends. 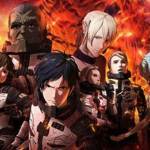 Godzilla: Monster Planet Anime Teaser Trailer Online! TOHO Animation has released a teaser trailer for the previously-announced Godzilla anime project. Officially titled Godzilla: Monster Planet, this new feature-length project tells the story of humanity returning to a world ruled by Kaiju after thousands of years. Developed by Polygon Pictures and written by Urobuchi Gentaro (who most fans may recognize as the mind behind Kamen Rider Gaim), Monster Planet will be released in Japan on November 17, 2017. Polygon also plans to make the film available worldwide through Netflix at a later date. 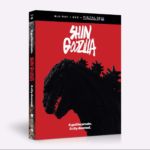 For those still eager to see 2016’s Shin Godzilla/Godzilla Resurgence movie, we have good news for you: FUNIMATION’s just recently announced a Blu Ray/DVD release is finally coming to North America. Of course, the movie will contain English subtitles along with a brand new dub and a few other extras features. The cast list for the English dub can be found on the official web page . Shin Godzilla is expected to come out this August. Shin Godzilla US Release Details Confirmed- In Select Theaters October 11-18 2016! After an impressive run in Japanese theaters grossing over 5 billion yen, the latest Godzilla movie is finally gearing up for a release in America! Funimation will bring Shin Godzilla (also known as Godzilla:Resurgence) to a select group of 440 US theaters from October 11-18 2016. Check out the Official Funimation Site to find screenings in your area! New Godzilla Anime in the Works? 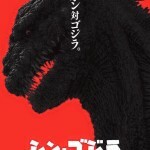 Toho just registered a rather curious domain name; listed as Godzilla-Anime.com. A Godzilla anime could be in the works, but there’s not a whole lot of info to go on at the moment so unfortunately we don’t know if the project will be an OVA, movie, series, or somehow tied to the Neon Genesis Evangelion cross promotion that’s been going on as of late. Godzilla’s first anime appearance was in a crossover episode with the Crayon Shin Chan series, prior to that was the 1998 Animated series which aired on Fox Kids well over 17 years ago! Stay tuned and we’ll be sure to bring you more up to date information as soon as it becomes avalaible.